Theme: All across America, spring means the return of something we love–baseball. 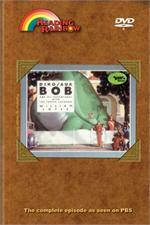 The feature book is about a family that goes on a family vacation and finds a dinosaur they name Bob. 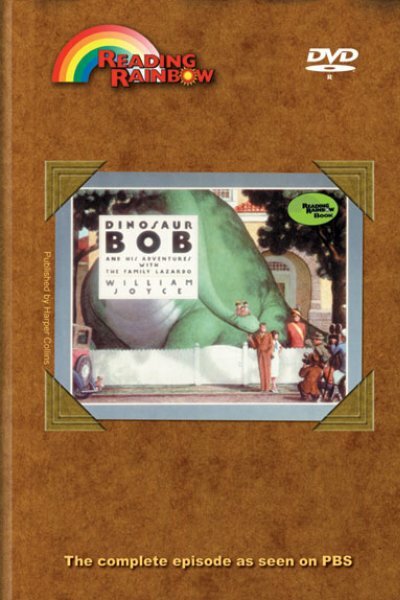 The family brings Bob back to America where he becomes the talk of the town when it is discovered that he plays baseball. LeVar and viewers join the Oakland Athletics during spring training in Arizona. Professionals give LeVar tips for improving his skills in baseball, and then viewers are off to the stadium to watch fans and the game. Baseball Practice – Batting practice with members of the Oakland Athletics baseball team. Spring Training for Fans – See fans of the game from today and yesterday as they cheer, get photos of players and eat stadium food. Play Ball! – Steve Albert interviews Reading Rainbow Pony Baseball Tournaments players, and narrates the game. Review Books: Casey at the Bat by Earnest Lawrence Thayer; Old Turtle’s Baseballl Stories by Leonard Kessler; Ronald Morgan Goes to Bat by Patricia Reilly Giff. Use this episode to further enhance your math curriculum. Math Concepts: estimation, ordinal numbers, measurement, number sense, geometric shapes, statistics, addition, subtraction, multiplication, division.